Purely made authentic oil edge and hair treatment. 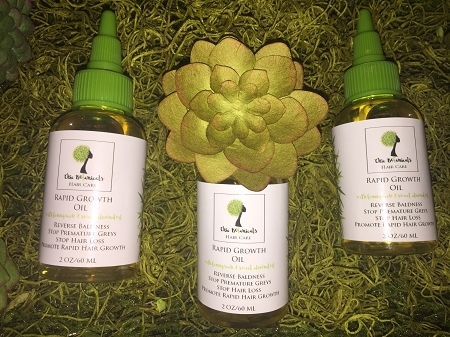 Chic Botanicals Rapid Growth Oil is formulated to repair traction alopecia. 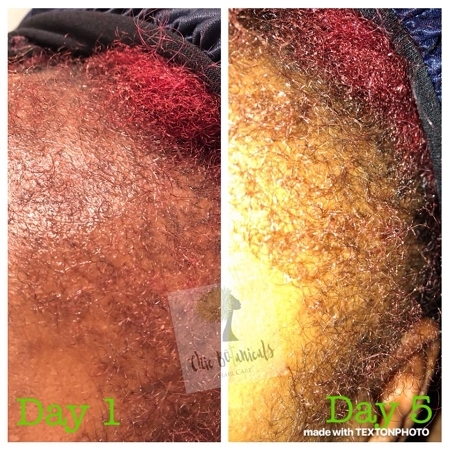 The combination of oils works together to rapidly grow hair in a matter of a few short days. *Recommended for daily use or as desired. *This product contains oils made from nuts. *Oils are made to order to keep all ingredients intact.